This garden folly is located on the east side of an expansive property in the Newport, RI Historic District. The property includes a Peabody and Stearns designed Shingle Style house, a Greek Revival playhouse and a recently constructed Japanese teahouse. 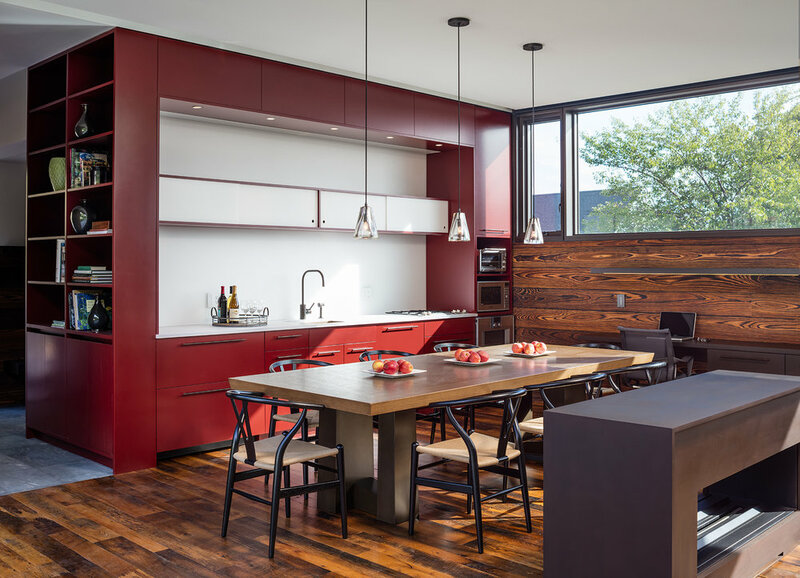 While this site has such an important historic context, the clients wanted an open, modern space. 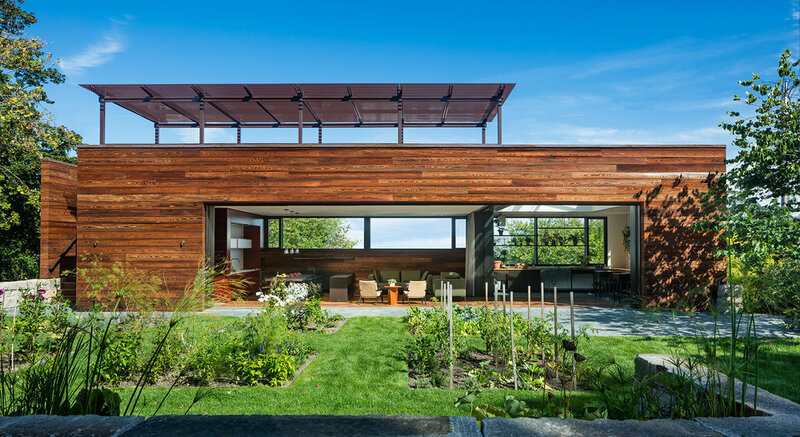 The program includes an open living/dining space, bathroom, laundry/storage, working greenhouse, and roof deck. High windows to the east provide light while giving privacy from the busy street. 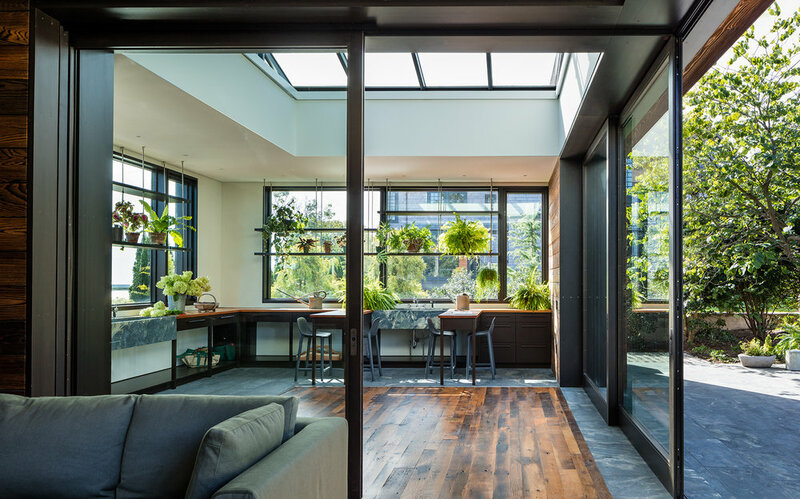 Forty feet of sliding glass pocket doors and a flush floor condition allows a seamless transition from living, dining, and greenhouse spaces to a working garden and landscaped lotus pond. Shou Sugi Ban siding, an ancient Japanese technique of burning wood, pays homage to the teahouse and the red cedar shingles of the main house. Contractor | Kistler & Knapp, Inc.